Thank you for taking the time out to visit my page. Having great fans and a support system really means a lot to me. It pushes and motivates me to keep moving forward and be the best I can be. I cannot thank you guys enough Thank you Thank you Thank you. RT @A_kamara6: Do somethin for YOU today. Born in New Orleans, Chelsea's story is unique from many athletes, but not from her fellow NOLA residents. Due to the effects of Hurrican Katrina, Hayes attended high school in multiple states during her senior year prior to returning to New Orleans to graduate from Marion Abramson H.S. before transitioning to Louisiana Tech University, where she earned a degree in Sociology. Chelsea found track and field late in high school, joining her first team as a junior. While at Tech, Chelsea was a 6-time All-American, 14-time WAC Champion, and 4-time WAC Athlete of the Year. 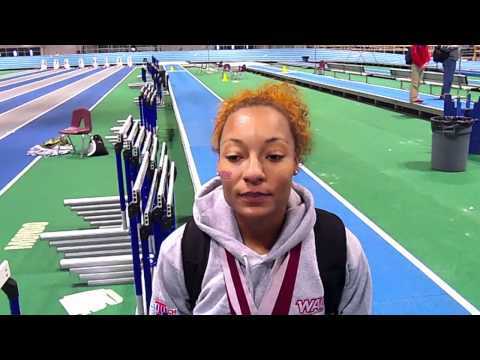 She completed her collegiate career as 2012 Indoor long jump runner up and third place at the 2012 NCAA Outdoor Championships in the same event. Hayes surprised the field at the 2012 Olympic Trials by setting a huge PR (by nearly a foot and a half) and finishing as runner up, making the USA Olympic Team. Off the track, Chelsea enjoys video games and loves spending time with her dogs, Coco, Loso, and Milan (a Pit Bull and two Maltese Yorkies, respectively). She also makes sure to spend time with family and her nieces mean the world to her. Chelsea prides herself on not letting outside influences affect her personally, always ensuring to be herself, very laid back and beyond goofy. She is a lover of fun and is always ready to have a smile and a laugh.